Android devices always have one thing in common: the Android operating system. Depending on the device manufacturer, the software can change from time to time. One of the changes you’ll notice when buying a Samsung device compared with a HTC device is the difference in stock apps. Those of us who don’t like some of those stock apps refer to them as bloatware because if they aren’t useful to us then all they are doing is bloating our software and taking away from the performance. Another change between Samsung and HTC is a skin that each OEM like to apply over their stock Android software. HTC refer to their unique idea as ‘Sense’ and Samsung call theirs ‘TouchWiz’. Both versions do different things but the idea is very much the same: create something unique that other devices don’t have so they aren’t all just running the same version of Android. While most of us will agree that different is good, it goes without saying that there will always be some people who don’t like whatever it is that Samsung decide to do. In regards to TouchWiz, some people love it, some people don’t mind it, some people have no idea what I’m talking about and others hate it. If you are trending toward the hate category with thinking about Samsung’s TouchWiz, you might wish to remove it from your device entirely and give your device more of a stock Android feel. 1. Install a material design theme to maximize the amount of Android stock look and feel you can get for your device. Head to the Settings > Theme Store > scroll down until you see “More” > Zayer’s “Material” theme > Download and it will download that new material design theme for your device. 2. Disable Samsung’s bloatware apps. 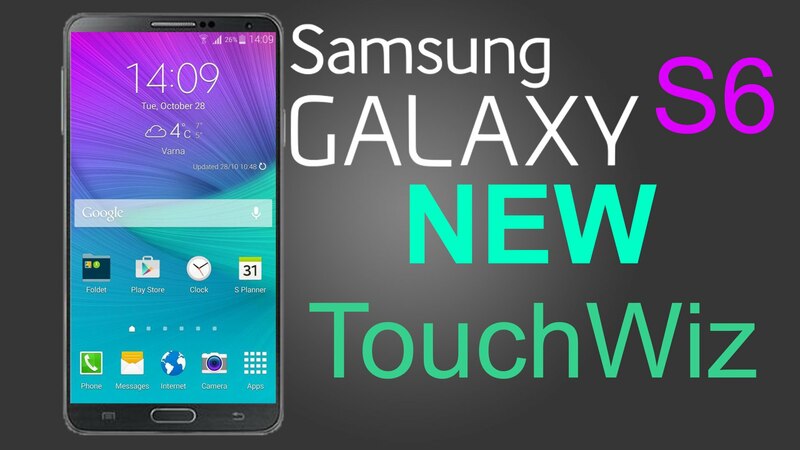 Nothing says TouchWiz more than a bunch of apps you don’t want on your device that Samsung installs on your device. You can get rid of those a few ways. One of the easiest ways is by installing the Debloater tool that’s available for Windows PCs. The Debloater is available for everyone, including those who do not have root access which is one of the ways it’s so great. Download the Debloater tool  for Windows PCs. Once you are done removing the Samsung default apps, you can then exchange them for some of Android’s stock apps instead to give you more of a stock Android feel. That way you do actually have some apps to play with. Some apps people find useful include the Google Calendar, Google Clock, Google Photos, Gmail, Google maps and other Google-owned apps. 3. Change the default launcher to the Google Now Launcher. A launcher for Android is all about the home-screen and Samsung’s gives you TouchWiz right away. There are a few third-party launchers available to download from the Google Play Store that can give you more of a stock Android feel. None does it better than the Google Now launcher in my opinion, but there are other notables out there including the Nova launcher and Apex Launcher.